These fail-safe valves are an industrial gas turbines crisis killswitch. The isolation valves are mostly deployed in pairs to provide dual-redundancy and therefore more safety. An example is the C173205 double block with bleed function. 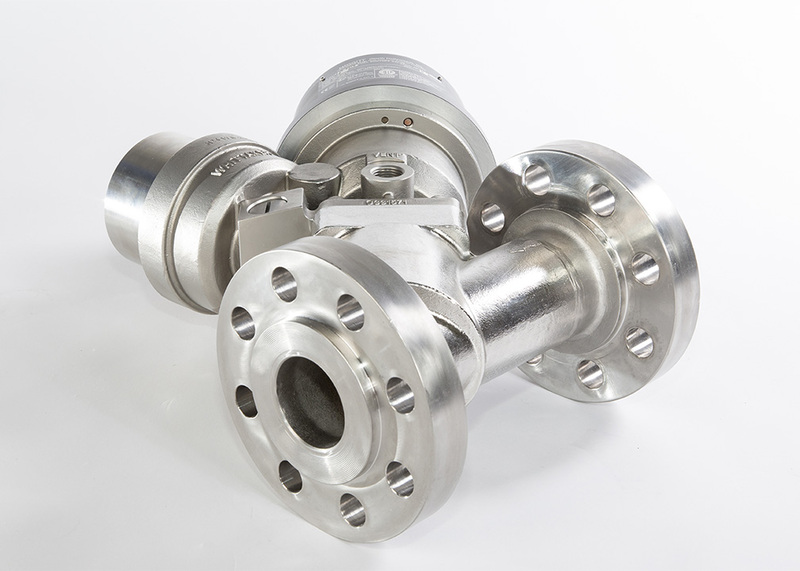 Gas fuel isolation valves are installed in the gas fuel lines that feed the gas turbine. They are one of the most important devices attached to any industrial gas turbine when it comes down to safety. Meggitt’s high temperature, poppet-type fuel shut-off valves are extremely reliable. With over 100 million field operating hours these valves have a proven track record, stating their quality to turbine operators around the world. Meggitt shutoff valves are also super-fast and able to close completely within the critical time window of just 100 milliseconds. Why 100 milliseconds? That’s all the time it takes for a turbine with its ‘throttle’ stuck open to turn a fuel metering malfunction into a multi-million dollar engine repair to shaft, blades and more. For more information and OEM overhaul of your existing isolation valves, please contact VBR. Meggitt natural gas or air Blowoff valve. C327395 is a three inch outlet flange 24 or 95-140 VDC solenoid-pilot actuated. Meggitt natural gas or air Blowoff valve. C327755 is a three inch outlet flange 24 or 95-140 VDC solenoid-pilot actuated. Meggitt natural gas or air Blowoff valve. C423105 is a three inch outlet flange 24 or 95-140 VDC solenoid-pilot actuated. In most cases a fixed price overhaul will set the clock back to new condition and let you valve operate for years ahead.